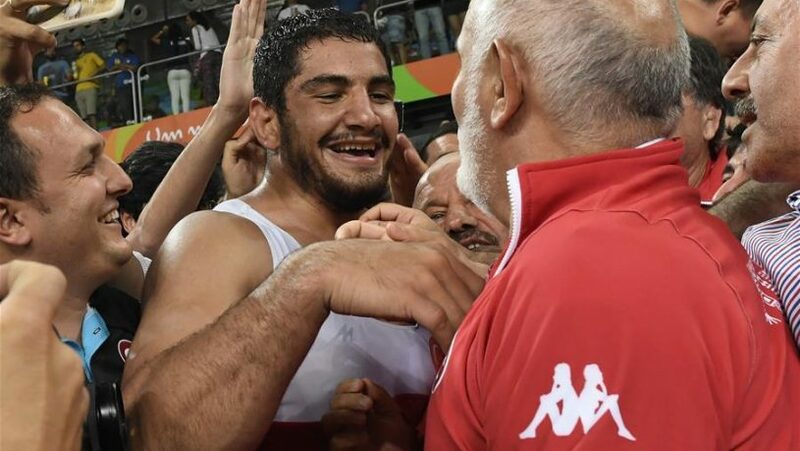 RIO DE JANEIRO, Aug. 20 (Xinhua) — Turkey’s world wrestling champion Taha Akgul claimed the men’s freestyle 125kg title at the Rio Olympic Games on Saturday when Russian Abdulrashid Sadulaev added the 86kg gold to his medal collection. Akgul and Sadulaev each became the two-time world champion who now has an Olympic title. In the men’s heavyweight final, Akgul posted a 3-1 victory over Komeil Ghasemi of Iran. Akgul scored two of his points off the shot clock and the other by step out with 1:15 left. In a battle of two-time world medalists, Geno Petriashvili of Georgia captured the bronze medal with a 31-second 10-0 technical fall over American Tervel Dlagnev. Belarus’ Ibrahim Saidov bagged the other bronze by leveling with Levan Berianidze of Armenia 2-2 and won on criteria. The men’s 86kg final saw Sadulaev shut out Selim Yasar of Turkey 5-0 after the Russian got a point off the shot clock, scoring a takedown and followed it up with a gut wrench. American J’den Cox defeated Cuban Reineris Salas Perez to claim the bronze medal while Azerbaijan’s Olympic defending champion Sharif Sharifov had to settle for a bronze beating Istvan Vereb of Hungary 5-1.